If you’re thinking about kiteboarding lessons or looking to take your riding to the next level, consider spending some time with us. La Ventana makes for a perfect winter wind sport getaway, plus a whole host of other activities to keep you active through the winter months. Our mission at New Wind is to get you up and riding with confidence and to do it fast. We realize that learning to kite is a substantial investment of time and resources. That’s why our goals are your goals: we want to see you having fun on the water and to be safe while doing it. Our exclusive Fast Track Method is designed to streamline the learning curve to expert riding. We’re not in the business of providing “resort courses”. On the contrary, we have some of the industry’s best instructional expertise behind us and we use that to your advantage. 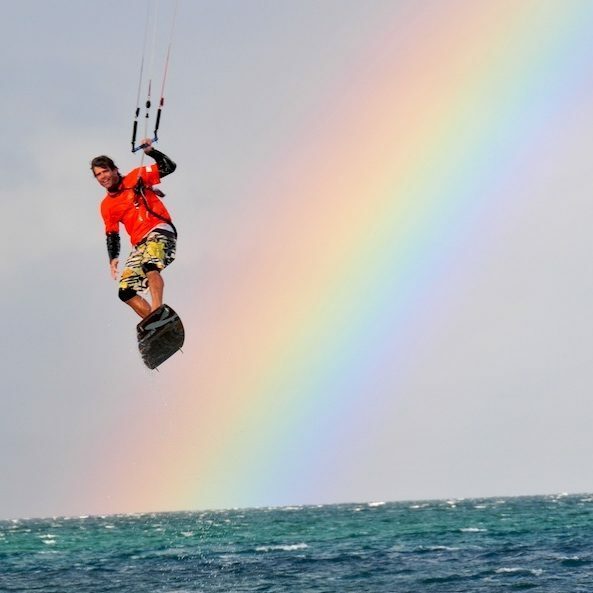 We will walk you step-by-step through principles of safety, flying the kite, self-rescue and riding. You’ll leave us with a solid foundation of the skills you’ll need in order to purchase gear and begin practicing the sport on your own. We are also dedicated to supporting you as you continue to learn about the sport. Once you have enrolled in a lesson program, we’ll teach you the basics, guide you through your first gear purchase and give you advice for planning your first kiting adventure! Check out our website for lesson info and to book lessons!